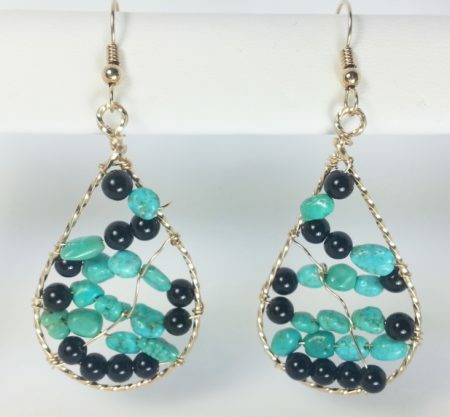 These beautiful earrings are designed with turquoise chip beads, black onyx beads and 14 kart gold-filled wire. 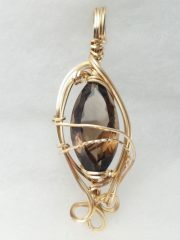 Their teardrop shape formed with twisted wire gives a graceful appearance. 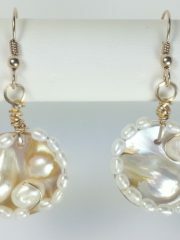 The earwires are also 14 karat gold-filled; the total length of the earrings is 2 1/2″ and 1″ wide at the base. 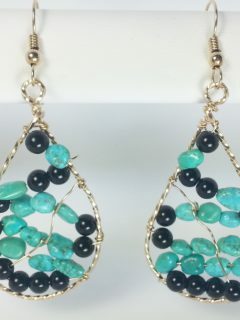 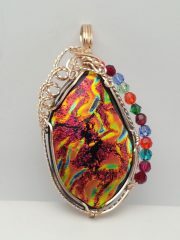 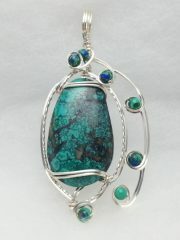 Although they are one of a kind, I can design other pairs that would be similar using the same beads. 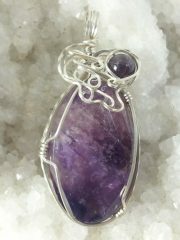 They could also be made in Argentium Sterling Silver, just contact me if you need them custom made.